Granite is mined straight from the Earth, and then polished to the give off the glean that its known for. Being that its literally mined from the ground, each piece, known as a ‘slab’, will be different. Even slabs harvested from the same location in a quarry will have variations- kind of like snowflakes. For example, take these two from one of my customer’s new build homes. 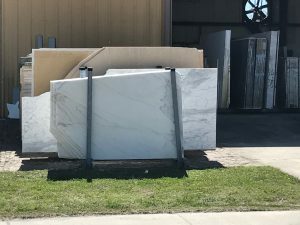 Bianco Sardo was ordered for the bathroom and Bianco Sardo was installed –BUT– the sample at the builder’s design center was from 2 years ago, so the stone received was noticeably different. They came from the same quarry, in the same location, from the same stone and were totally different. (Needless to say, I got the builder to take care of it but this serves as a great illustration). 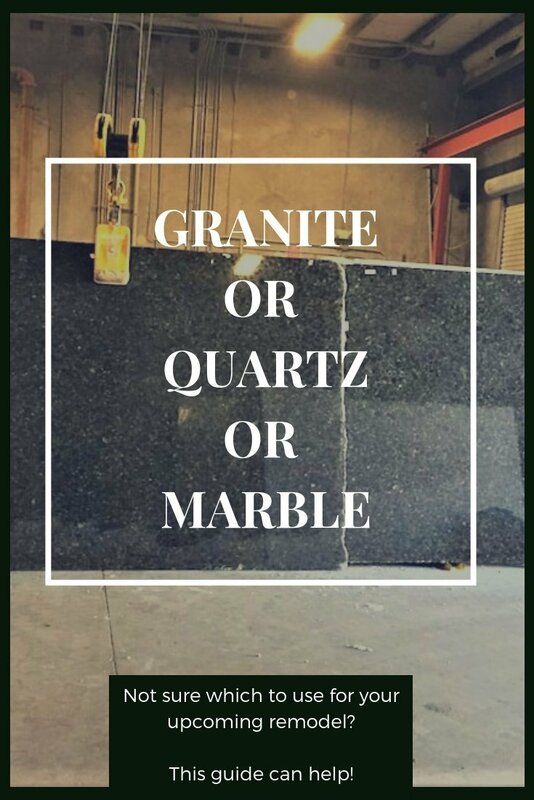 Granite slabs can be purchased from wholesalers, and during your home building or renovation process, you’ll typically be asked to walk through a warehouse to choose the right piece. Some will have veining, others speckles. The variety each slab has will determine its ‘level’, with level 1 being basic and higher levels signifying higher “quality” and cost. 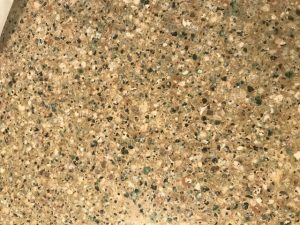 Lighter colored granite stains easily. Southern etiquette dictates using a coaster when offered, and there is no difference here. No one wants your coffee or red wine circle to leave a permanent impression. Oil is also notorious for staining so make sure to wipe the counter after frying up your chicken. This granite cleaner is great BUT make sure you use it with a microfiber cloth. Using one of those is key to cleaning stone. 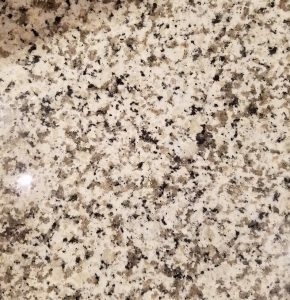 Granite is a porous surface, and will need to be resealed every once in a while. You may begin to notice it feeling rough over time or having dry patches here and there. It is an extremely hard material, and generally will not crack or chip unless hit with extreme force or weight. The latest and greatest in the stone world! 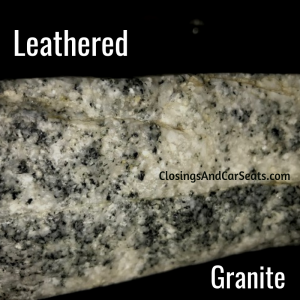 It has all the aforementioned benefits of granite, but is left in a raw state as opposed to being fully polished and shined. This rougher, natural look mimics the texture of leather- hence the name. 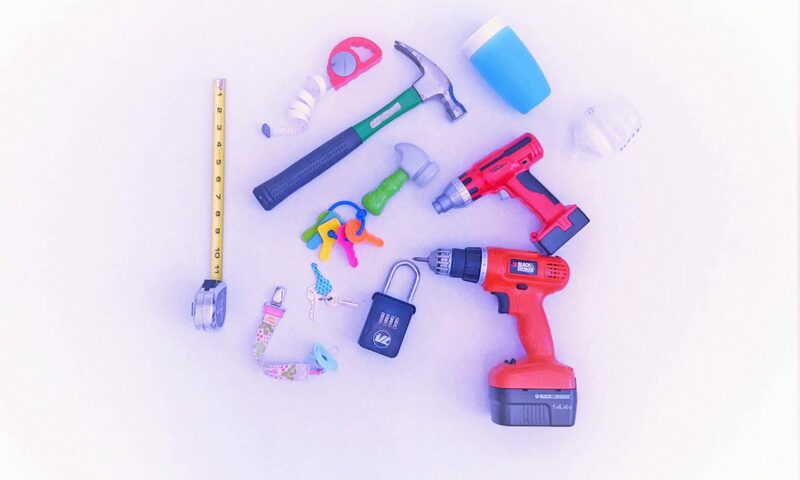 Fingerprints and water-spots are barely noticeable and it generally does not need to be resealed. This stone is an ideal choice for wet or outdoor environments such as outdoor kitchens. Any wear and tear can actually add to the character of the piece! Quartz is solid surface stone that is engineered. It is mostly natural quartz, but has a polymer resin mixed in as well. 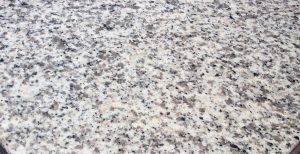 This allows it to be somewhat customized, and allow you to get the exact look of granite or marble that you are going for. The sample selected is usually identical to what you receive. It is harder than granite, making it more durable. It also doesn’t typically need resealing therefore ideal for bathrooms. Quartz can still be damaged by extreme heat, so please don’t set your cookie sheet hot out of the oven or your curling iron directly on the counter. When I think of Marble, I think of Italy, museums, the sound of high heels clicking on floors, and overall amazing beauty. Even the quarries they pull it from are stunning. It really gives a “WOW” factor but is also the most expensive of the three options. Marble is a hard porous stone, but not quite as hard as granite. You’ll find it may chip or get damaged easier than the other stones. It is also very susceptible to acid- read: tomatoes. In to baking? Marble is ideal for rolling out dough with its naturally cooler than room temperature surface. Most pastry chefs use marble boards and rolling pins. Although I LOVE the clean, fresh look of marble. my personal preference is granite. Being that I have two crazy babies who bang pots and pans on everything, I find it to be more sturdy. 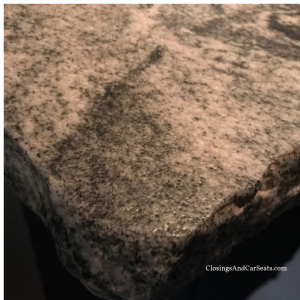 I recently found a very rare white granite with long silver veins that looked so similar to marble I had to install it in my Coastal Kitchen renovation. View more variations of granite, quartz, and marble here. Which natural stone do you prefer?